Holden in Australia had been making car bodies for other car manufacturers when it became a subsidiary of GM in 1931. It made its first Australian model in 1948, using a Chevrolet design that hadn't been used. It was a huge success and the Holden brand came to be synonymous with the Australian car industry. More recently the large Commodore model in particular came to stand for Holden in the minds and hearts of the local populace. For many it eventually overshadowed the brand that had spawned it. While this was a successful situation, the problem was what would happen if the locally made Commodore came to an end? That came to fruition in late 2017 when the aging, out of date Commodore was proving increasingly unprofitable to make. 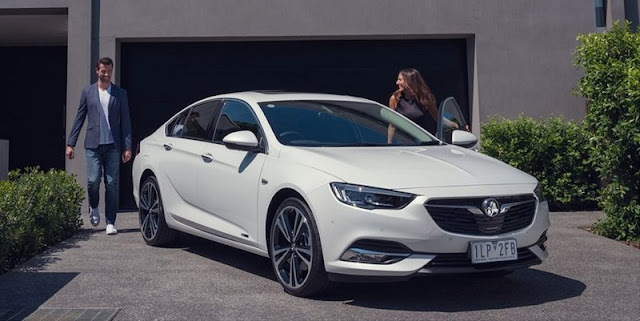 A new large car had to be found and the Insignia model from GM Europe was chosen. It is so much more refined than the outgoing model, albeit quite different in so many ways. It would carry the Commodore logo, but that was a contentious decision for some. Mind you, those of such an opinion were never going to be placated either way. So how has the post-Commodore era gone so far in its short history? In Australia poorly and in Holden's other market - NZ - satisfactorily. Some have put all that down to the way the transition has been handled and there is certainly some truth in that. The managing director of Holden NZ has suddenly been whisked off to Oz to become their director of marketing for GM Holden in Australia. He now has a 'catch up' job to perform so that will be a challenge. Another issue that differentiates the two nations that straddle the Tasman Sea is that Kiwis never viewed Holden as 'the Commodore brand' like those on the other side of the ditch. Kiwis like and buy the Holden brand, but are not doing so based on where they are made or on one model. Many Australians take a differing view and that is why it will be interesting to see if an advertising campaign can turn that around. Finally some data comparing the two Holden countries. In March 2018, in Australia Holden was the 10th best selling brand with 4.8% market share. In NZ, it was 4th with 7.8% of the total. YTD in Oz 7th and 5.3% overall while in Kiwiland YTD Holden is 3rd and 8.0%. Amazingly Holden is proving much more popular in NZ than in the brand's homeland. Then again, Holden was more than one Australian made model but only one country really believed that. It's up to a new direction for an advertising campaign to change that perception. Good luck with that GM Holden Australia.